We are pleased to report new representation in Azerbaijan with RETEMS Logistics LLC. 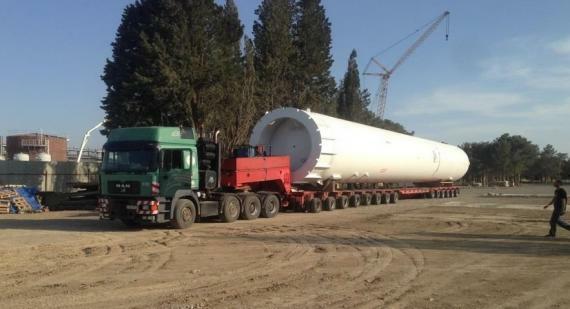 Located in the country's capital, Baku, the company are specialised in complete multimodal project cargo transport and logistics by all modes - sea, deep sea, river, road, railway and air. General Director at RETEMS, Orkhan Musayev states; "We are keen to work with PCN members and develop mutually advantageous partnerships". Orkhan continues; "RETEMS Logistics is one of the most dynamically developing companies in Azerbaijan, established in 2013. We design and engineer complete complex logistics programs for the transport of heavy and OOG cargo including intermodal transfers, the design and construction of requisite special handling equipment, obtaining all necessary permissions and full costing. Our dedicated project team consists of professionals with a wide range of expertise backed by our own engineering department who perform specialised route surveys, conduct structural engineering infrastructure calculations and arrange cargo handling guidelines. We also have a variety of heavy-duty transport equipment and trailers operated by expert teams." Please click below to download a company presentation from RETEMS with details of some of their recent projects including the above photographed 'bullets' transported from Russia to Azerbaijan by rail and then transferred onto trucks to be delivered to the final site for unloading.